This property is a Section 42 Tax Credit LIHTC housing program. We offer 2, 3 and 4 bedroom apartments with income limits and some student restrictions apply. Owner elects Special-Needs Housing Commitments, such as Large Households and Disabled Households with a full definition of these commitments in the Rental Office. We also accept housing authority provided Section 8 vouchers. Please call for details. 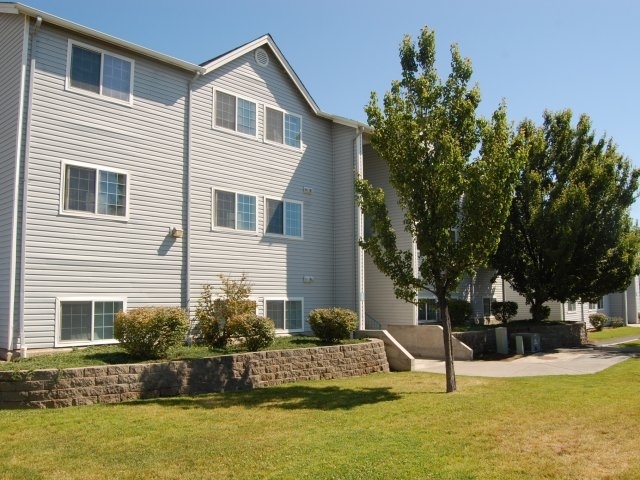 Two, three and four bedroom affordable apartments in beautiful Moses Lake, WA. All units include full size washers and dryers, dishwashers, and balconies with additional storage. Close to schools, parks and local businesses with shopping and restaurants. Pet friendly. Income Limit Details: Below WSHFC 30% and 60% Tax Credit income limits. Water, sewer, garbage included in rent. Pet Friendly. Washer/dryer in each unit. Water park close by.